The looming divorce between Britain and the Continent did little to spoil the annual French travel and trade fair at London’s Olympia last weekend. 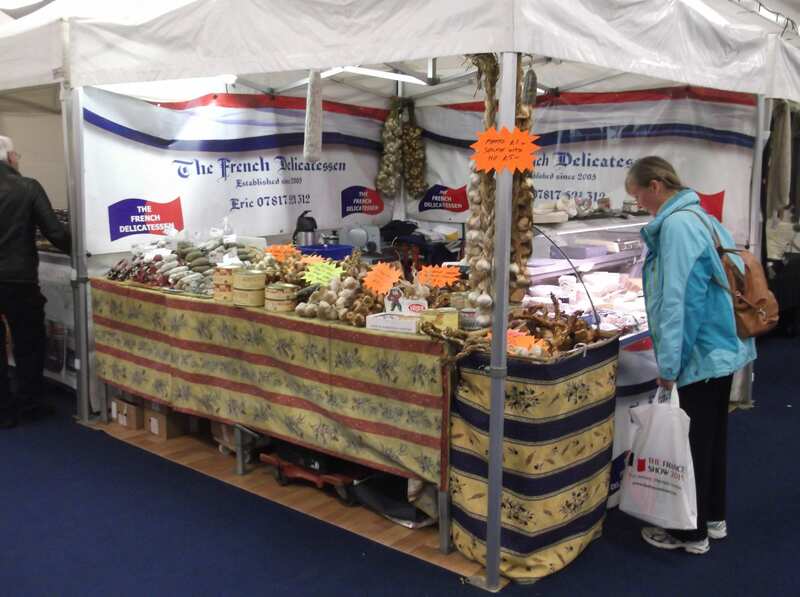 The property section on the second floor was perhaps slightly busier than that covering tourism as well as wine and food plus specialised gifts from such companies as Made in Provence. 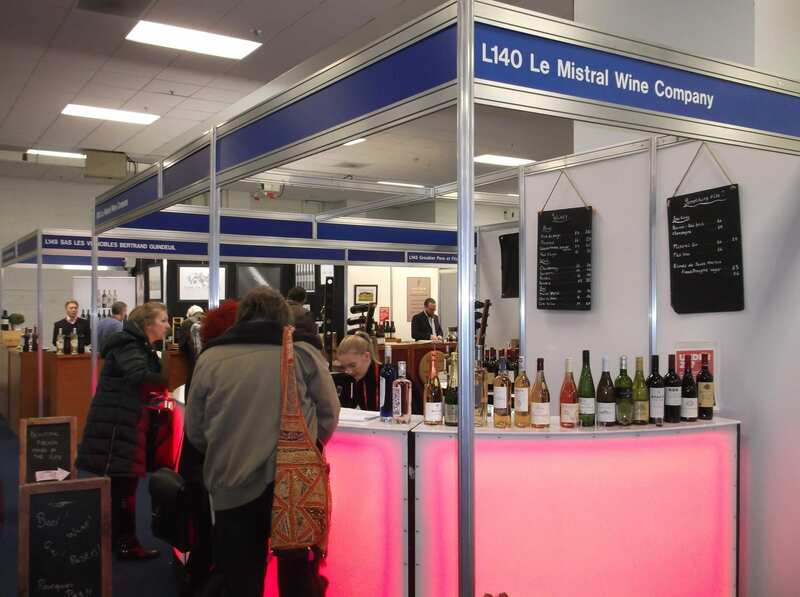 A good 32 exhibitors out of almost 100 were about residing in France, while the first floor featured an avenue of wine-bars and wine-merchants. There were also tutored tastings in the wine theatre, sponsored this year by Pays d’Oc IGP that produces half of the wine in the Languedoc-Rousillon, with the largest area of viticulture in the country. Groubier Père et Fils was among a total of 14 exhibitors in the wine trade wiith a couple, such as French Comté, also among the 13 selling foodstuffs. These included French loaves and cakes (pâtisserie) as well as cheeses – from Cantal to Camembert – and all manner of spicy sausages, not forgetting garlic. Each visitor got a chocolate-filled roll (pain chocolat) at the lift. French Property News. A sign of the times was a linguistic course to help medical personnel qualify for jobs in France’s beleaguered health service. There were only a dozen exhibitors in the travel section, and not the most obvious names but rather niche destinations and activities. Among the few tourist boards were those from Vienne and from the Vosges whose representative, Sophie De Clercq, runs a camp-site. 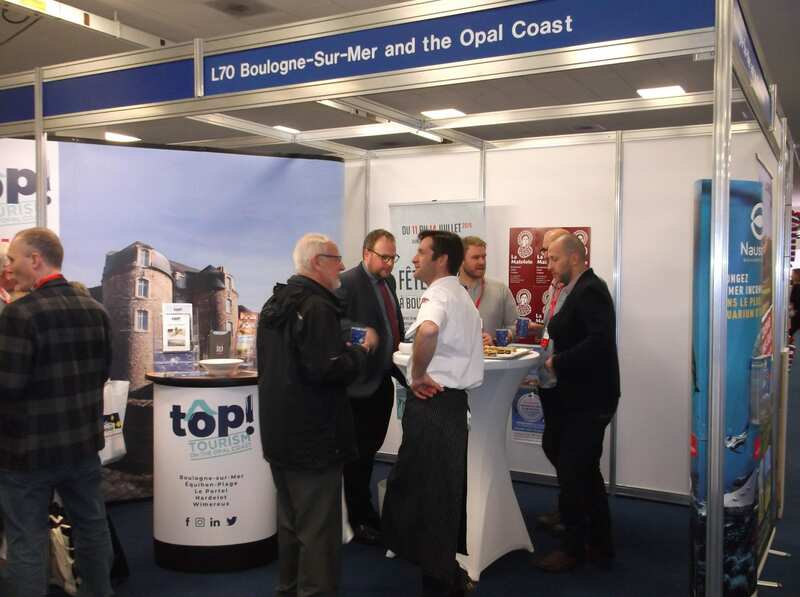 Also exhibiting was the Opal Coast that stretches 120 kilometres from the Belgian frontier to the Somme estuary forming the boundary with Picardy. It thus includes Calais and Boulogne whose representative said, “Brexit is the latest of many changes. We will still get Britons crossing the Channel”. 240 kilometres of the Canal du Midi. One of Europe’s oldest still in operation, it has become a UNESCO World Heritage Site. 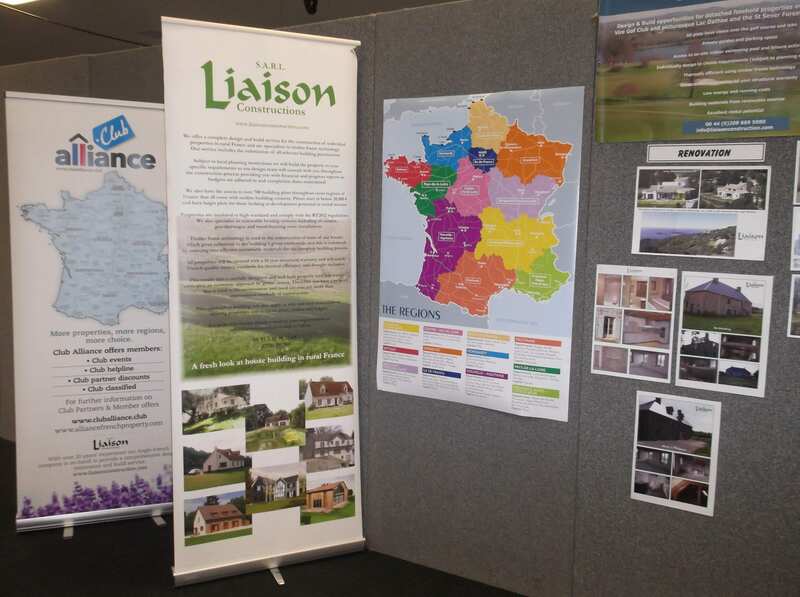 Lagrange Holidays was at Olympia with its range of self-catering establishments, largely in the south of France, and also there was French Connections which has 25 years’ experience of advertising holiday properties to rent. Its representative, Isabelle Maitland from Brittany, was optimistic that Brexit would not deter travellers. Upstairs, there were seminars on all aspects of emigrating to France such as taxes and mortgages. They included French solicitors who do conveyancing and wills (notaires) and two removal companies, but most exhibitors here were estate agents. Among these was Leggett Immobilier whose chairman has reported “little or no impact on sales to British clients in 2018 despite the uncertainty regarding Brexit”. Only one exibitor suggested that visitors to the France Show were down on last year. What with games of bowls (boules/pétanque) and the cafeteria serving such French snacks as croissants while an accordianist played nearby, it all made for a convivial outing on a grey day. Yet among the 100 journalists, who registered for the event, several others must have noticed that this Gallic gathering had some unusual absentees. Conspicuous as no-shows were most operators of travel by land, sea and air to France whose nine major airports and 28 minor ones are served by eight carriers from England. Out of eight sea-links only that to Calais was in evidence at Olympia. As for Raileurope in Kent, this vanished into a French website which has already changed its name from voyages-sncf to something even more incomprehensible and unnavigable. Similarly, one saw no sign of major destinations such as Paris or the Riviera, while the most blatant absentee was what used to be the welcoming, old French Government Tourist Office next door to SNCF in Picadilly. Long located elsewhere with an obscure name, and definitely (defiantly) closed to the public, its rotating staff has included an unreachable Danish press officer who migrated from the Swiss tourist office! Perhaps this apathy is why Son Excellence l’Ambassadeur no longer opens the France Show as in bygone days. 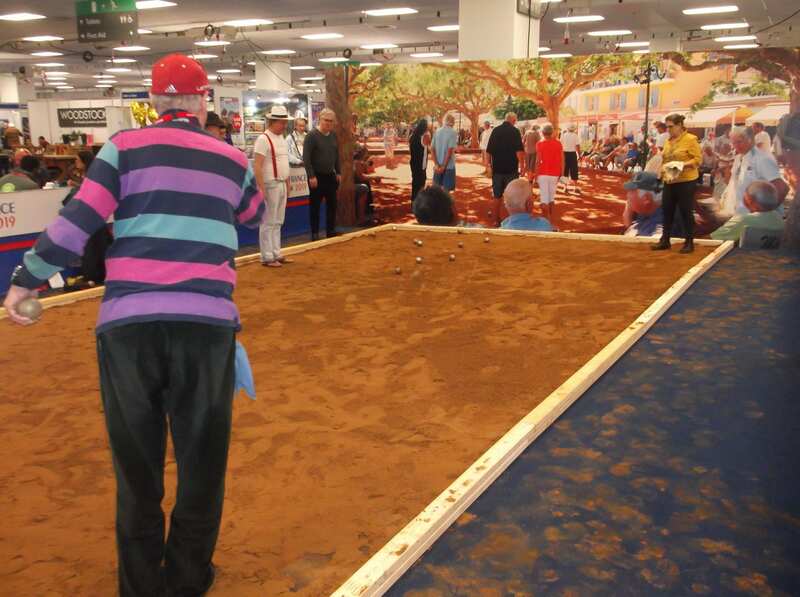 Attendance figures were also lacking, but Archant will organise the event once again in 2020.